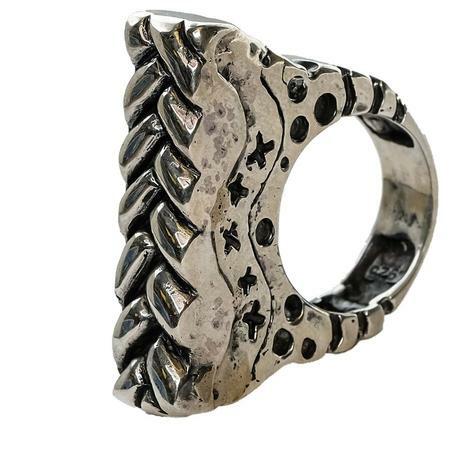 This statement ring features a fanned top and made of sterling silver, A beautiful addition to any ring collection. All jewelry is made one at a time, not mass produced. 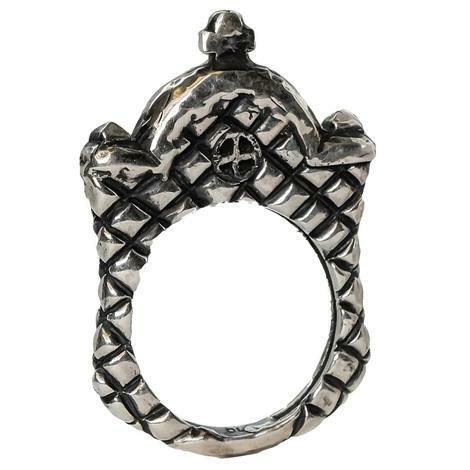 This is a beautiful sterling silver stacker ring. The ring has a gorgeous arrow construction that will go well with any apparel. It can be worn alone or with others. All jewelry is made one at a time, not mass produced. 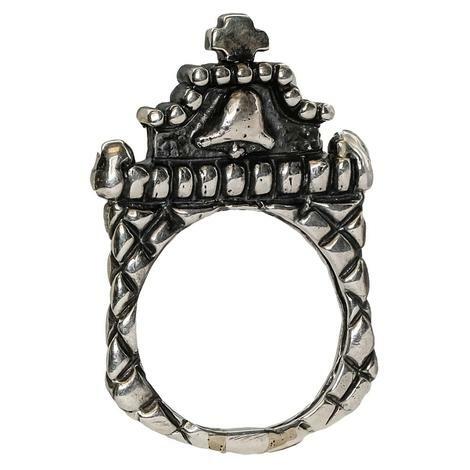 This is a remarkable ring that is going to be a new favorite piece that you will be sure to want in your collection. 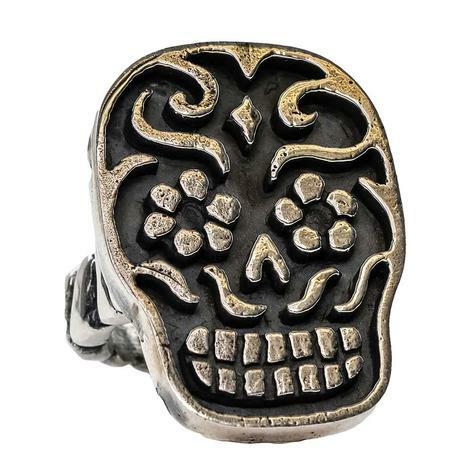 Made of sterling silver it features a charming Sugar Skull. All jewelry made one at a time, not mass produced. 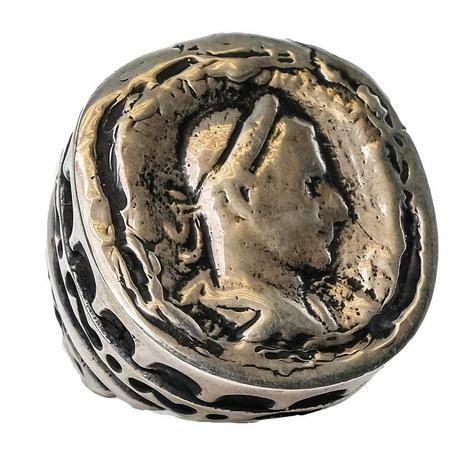 This ravishing statement ring is made of sterling silver, featuring the head of a Silver Coin it will be sure to be a must have item you will want in your jewelry collection. All jewelry made one at a time, not mass produced. Add this elegant stacker ring to your collection! 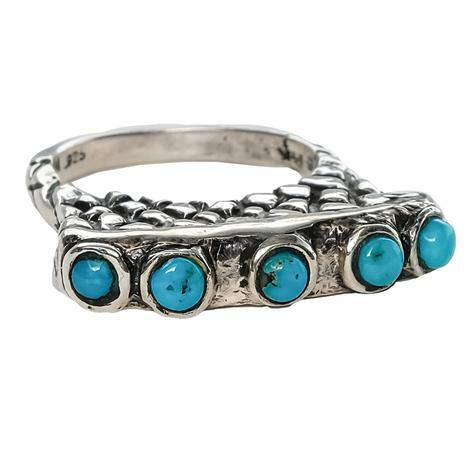 Made from sterling silver this ring features 5 bold turquoise stones. All jewelry made one at a time, not mass produced. This is a must have of our stacker ring collection. 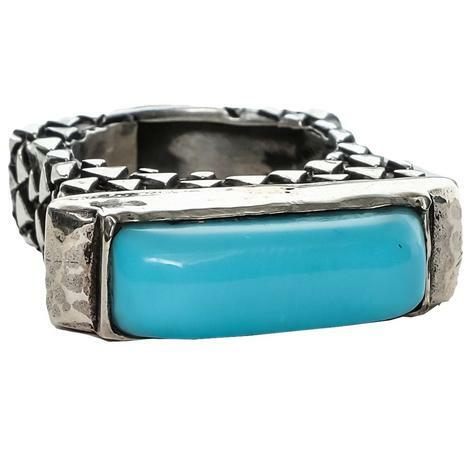 With this ring you're getting genuine sterling silver and a captivating turquoise stone center. All jewelry made one at a time, not mass produced. 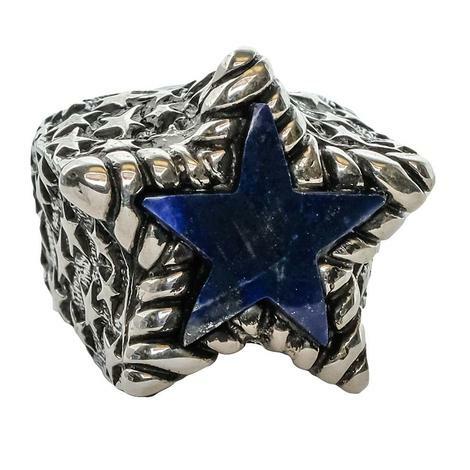 This is a stunning sterling silver ring featuring a large blue crystal star in the center and multiple smaller stars along the sides. This ring is a size 8. Adding some flare to our stacker ring collection, we have this Brick Stacker with a touch of gold to add to the sterling silver ring. All jewelry made one at a time, not mass produced. 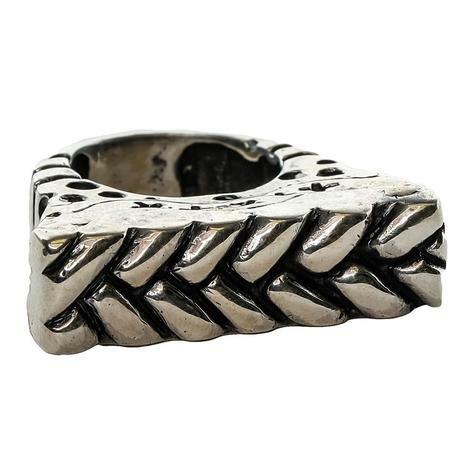 This is a jaw dropping ring, Made of sterling silver with a carved swirl design. Featuring a striking pearl to complete this classic look. All jewelry made one at a time, not mass produced. Show off your love for flowers with this sensational Sterling Silver Flower ring. 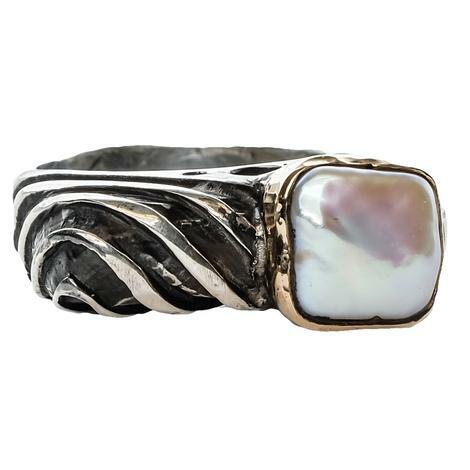 Displaying a classic white Pearl to add that extra impact to this ring. All jewelry made one at a time, not mass produced. 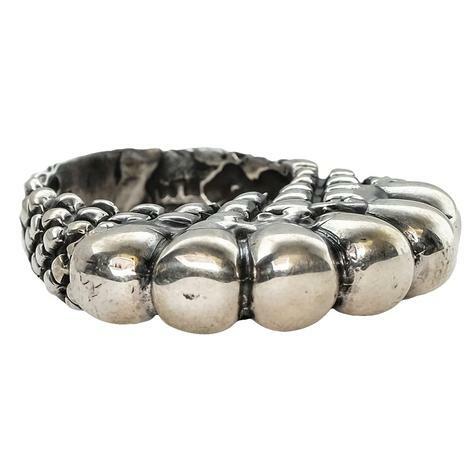 This is genuine Sterling Silver; one size fits all Bangle. The unique design is a floral abstract pattern which is sure to impress everyone. Keeping this look classic and elegant. Made one at a time and never mass produced. 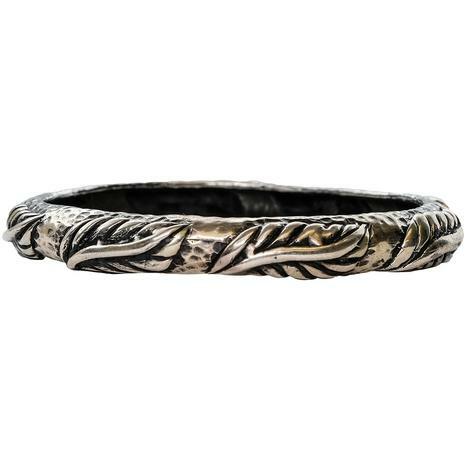 In this Bangle you are getting that high-quality Sterling Silver durability and the sleek classy look you love. With the chic Leave layout, it is sure to catch an eye. 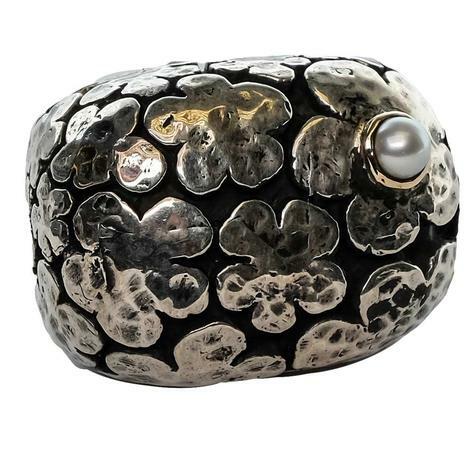 Make a bold impression with this Cuff Bangle! 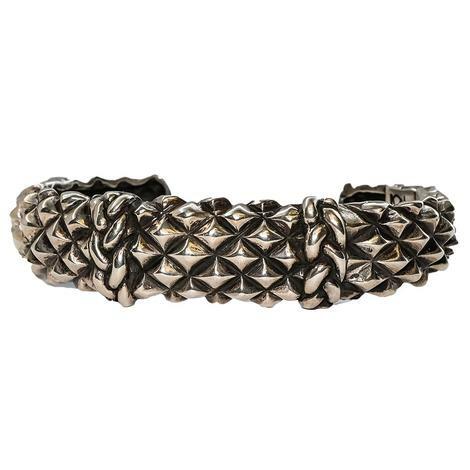 The design features multiple small spikes with two breaded threads to make this bracelet a true one of a kind! 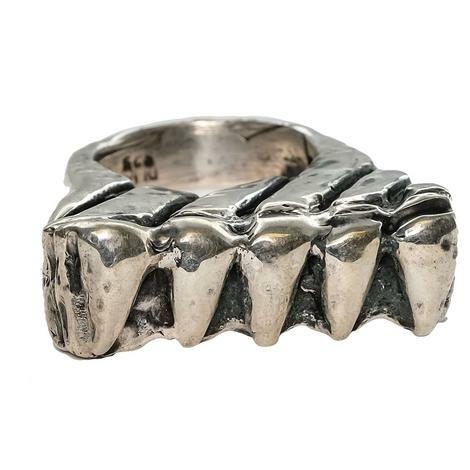 This unique ring is going to be something to talk about! 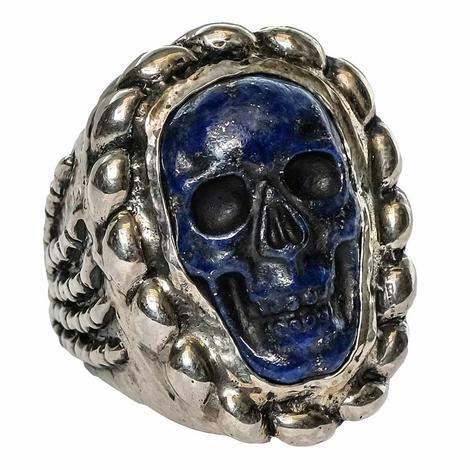 Featuring a blue sugar skull in a sterling silver setting, This ring is a size 7.5 and will be an item in your jewelry collection to brag about! 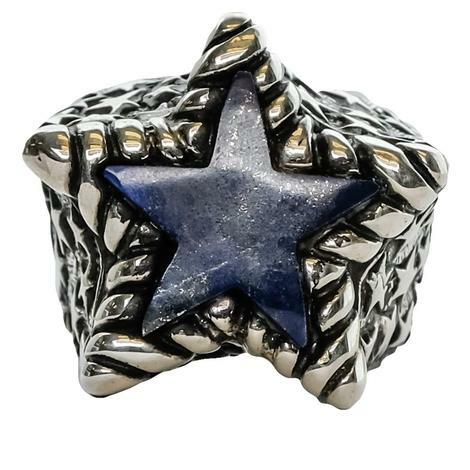 This is a charming stacker ring you can wear individual or with multiple stacker rings. This is a classy way to show off your unique taste. This is a Double Woven design for a clean exquisite look that you can match with anything! 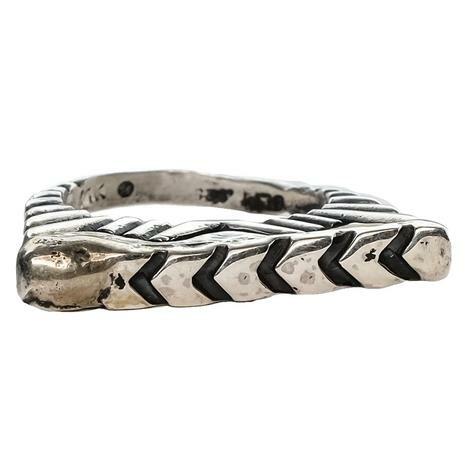 In addition to our Stacker Ring collection we have this iconic Chevron design. 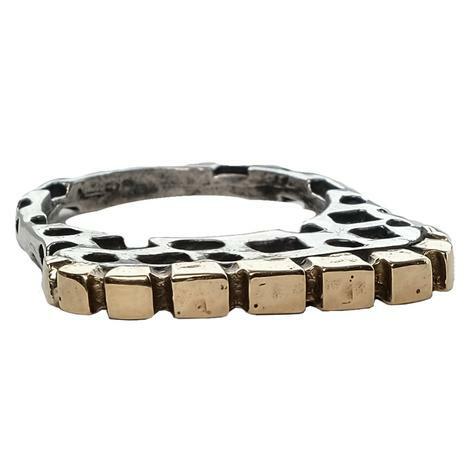 Wear this ring alone or with other Stacker Rings in your collection. A great way to show off your individual taste with a bit of sass! Add this ring to your Stacker collection today! 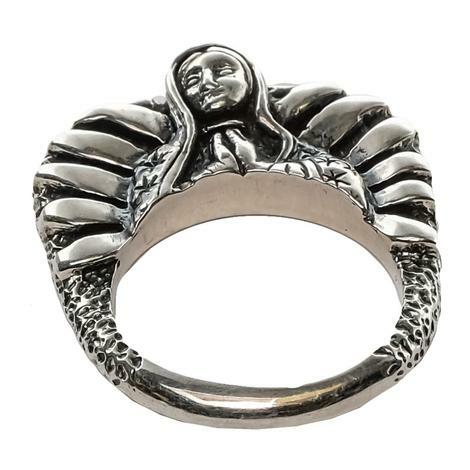 Made of sterling silver this ring features the Virgin de Guadalupe. Giving you the flare and individuality to set your style apart from the others. This is such a stunning ring to add to your Stacker Collection. Its abstract Section design will match well with anything you might want to wear it with. 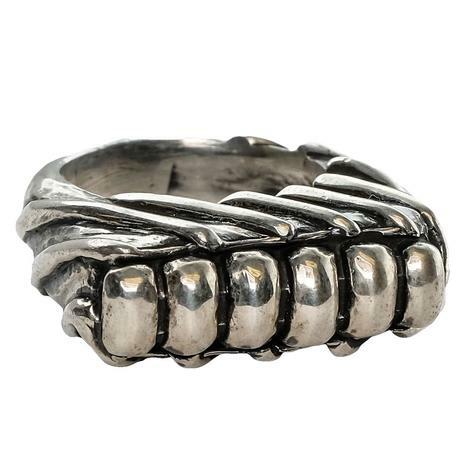 Made of Sterling Silver, in the USA. This is a perfect stacker ring you can wear individual or with multiple. 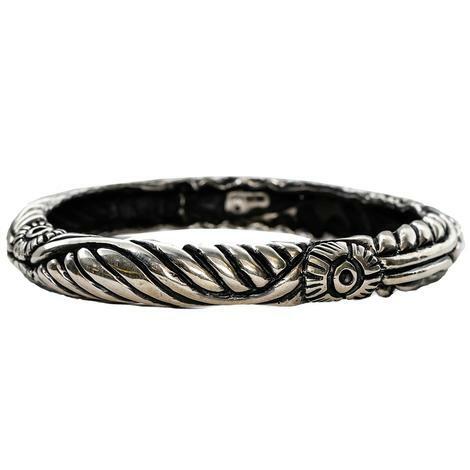 Made of genuine sterling silver for a polished feel. This is a Mission Bell design for a clean exquisite look that you can match with anything! Show off your pride for Missions with this collector Stacker Ring. This is a great way to show your unique style and elegant taste in jewelry. Add this to other Stacker rings or wear as an individual. Made of Sterling Silver.